S3 Browser is a freeware Windows client for Amazon S3. Amazon S3 provides a simple web services interface that can be used to store and retrieve any amount of data, at any time, from anywhere on the web. 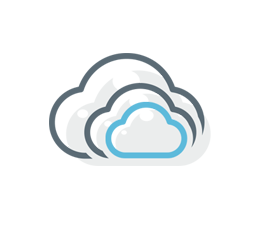 Atharva Storage - VirtEngine is a “Cloud object storage, low latency and (S3 - AWS Signature v2) compatible API built on top of ceph - jewel.”. This tutorial will guide you in setting up a S3 Browser windows client on your windows 7+/10 workstation and connecting it to manage your atharva storage account in VirtEngine. You are running Windows 7 or later version. This was tested on Windows 10. You have to create a valid credential for accessing https://console.VirtEngine.com. How to create an account with VirtEngine. You have to create an atharva storage account with VirtEngine. How to create an atharva account with VirtEngine. This initial section contains everything you need to setup S3 Browser windows native client on your server. Go to this link. S3 browser. Click Download S3 Browser in www.s3browser.com to start your download. Right-click the download file and install it in your windows system. Click the Accounts -> Create New Account button in S3 browser. it will open the pop-up window. Choose S3 Compatible Storage as a storage type and specify REST endpoint as 88.198.139.81. Click the Add new account button the account is created and it display the bucket already created in VirtEngine. Click the Bucket -> Create New Bucket button it will open the pop-up window. Ask for the bucket name, you can assign your bucket name. Click the Create new bucket button the bucket it created. Choose the one or multiple files to upload/choose an upload folder if you want to upload a whole folder or whole drive. Select the files you want to upload or select the folder to upload. The upload process will begin. You can track the progress on the Tasks tab. Logon https://console.VirtEngine.com goto storage place. You can see your bucket, and the uploaded files are displayed. These are the very simple steps to create bucket and upload files using Windows native client using S3 Browser to Atharva - VirtEngine. This is a good head-start for using S3 Browser & our Athava ceph based object storage in VirtEngine. VirtEngine specializes in building Virtualization Software and powering Cloud Service Providers / Hosting Providers..
Meet VirtEngine at HostingCon India 2016! © 2016 VirtEngine by DET.io. Powered by Jekyll using the Neo-HPSTR Theme.